This morning my son came to me with a ragged carrot in his hand and said, “We should hold a funeral for the snowman.” Seconds later he started crying like we all have cried once over a melted snowman or a sand sculpture washed away by the ocean or a broken toy. As a parent would instinctively do, I started making up a tale. We get into our car and start driving to the daycare. We get out of car, close the door and walk towards the kindergarten hand in hand. „Perhaps you could stop now,“ he says half way to the kindergarten front gate. I apologize and we go inside, but his wording keeps echoing in my head. ‘Perhaps you could’ not just ‘stop’, it sounds patronizing. 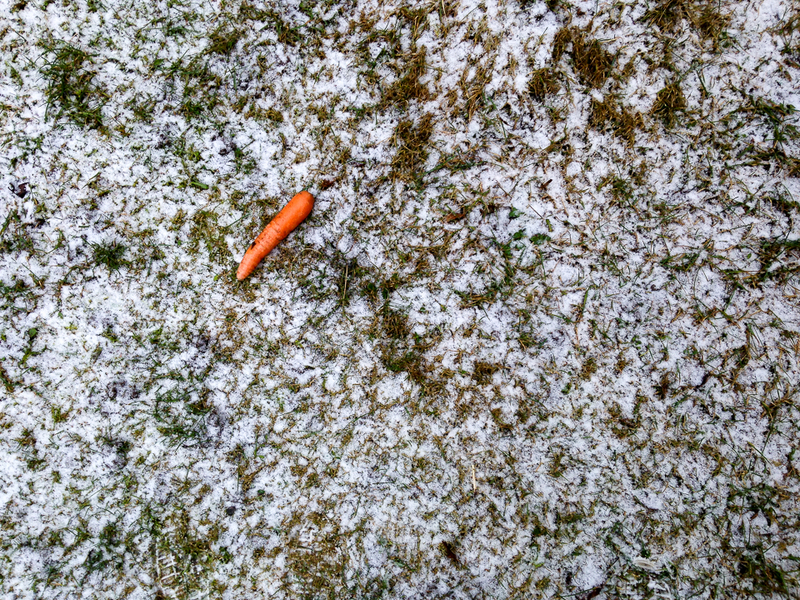 I come back to my house and see the carrot on the grass surrounded by a thin layer of new snow. Sure, it’s not enough. Why couldn’t I just accept death? @2016 - Katrin Press. All Right Reserved.